Dianne relocated to Oxford and joined the Institute in November 2008 after a long tenure in public accounting with Dixon Hughes PLLC in Memphis, TN. She is a CPA licensed in the State of Tennessee and holds a bachelor of business administration in accounting degree from the University of Memphis. 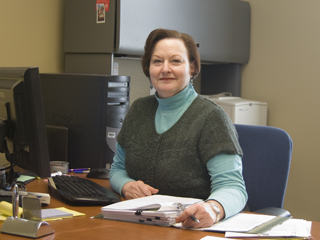 She is responsible for preparing and maintaining the fiscal records for all of the grant funded projects. She also manages the external sub-grants and ensures compliance with funding agencies.